NA Custom Cycles specializes in creating custom machines designed to be ridden. We have expertise in working with a variety of bike platforms. Harley, English, or Jap-we will work with your budget and put together a bike that looks great and can be a daily rider. 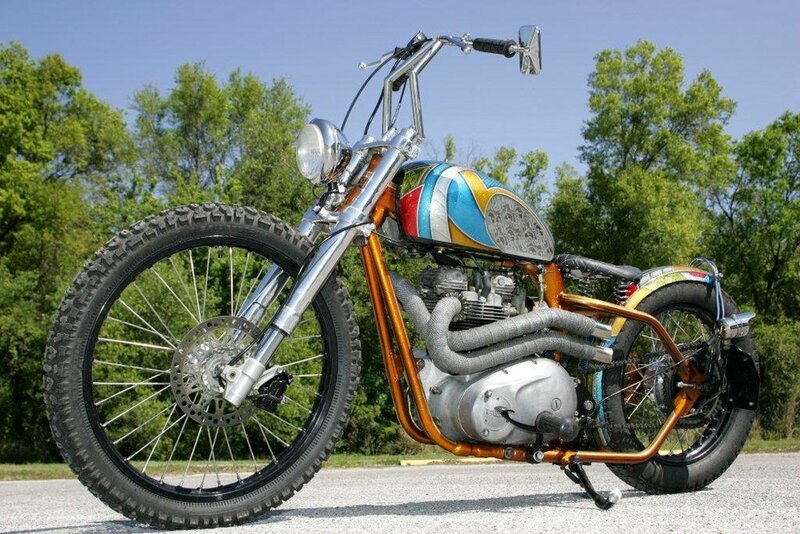 We also do frame work and custom parts, and we’ll get that old bike you have running better than it ever has! FNA Custom Cycles Lakeland Florida - FNA Custom '73 Triumph OIF Hardtail Build. FNA Custom Motorcycle Builds, FNA Custom Motorcycle Parts, FNA Custom Gas Tanks. FNA Custom Fenders. FNA Custom Motorcycle Accessories. Eric Allard, Shop Owner and Operator. FNA custom machines are designed to be ridden. FNA Custom Cycles a shop for the motorcycle enthusiast.